Terrace on Walnut is an integration of old and new, art and architecture, pedestrian and city. 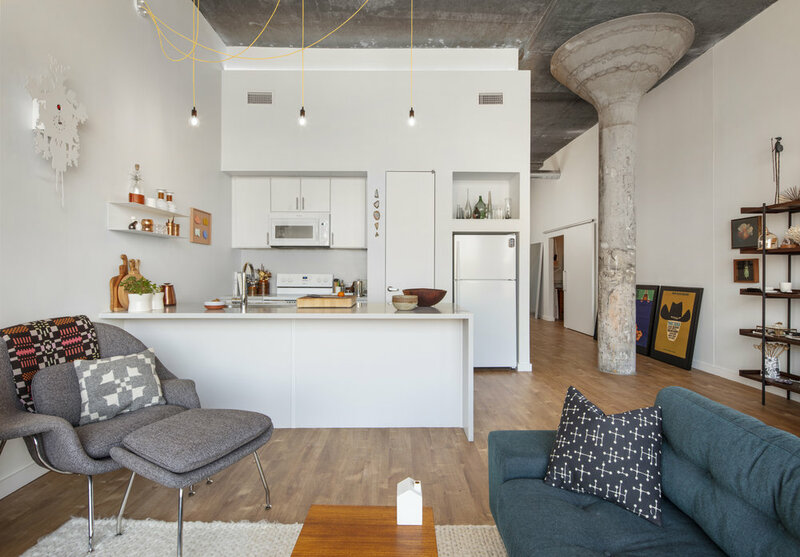 The integration is the result of an adaptive reuse project, transforming a 100-foot blank facade into an active multifamily residential project. The original building was a 3-level paper storage and press for the Kansas City Star newspaper. It’s a stout cast concrete frame structure that was brick clad with thin ribbon windows above eye level. The program was to convert the building into 38 residential units both within the existing structure and adding 2 floors of new construction. The design weaves together the new and existing geometries with materials that represent their function - medium grey metal panel signifies the frame of new construction, anodized aluminum identifies the living unit divisions and concrete structure cladding, and existing brick is painted a dark grey to ground the building. The building is stripped down to its structural frame to maximize natural daylight and pedestrian interaction with the city. 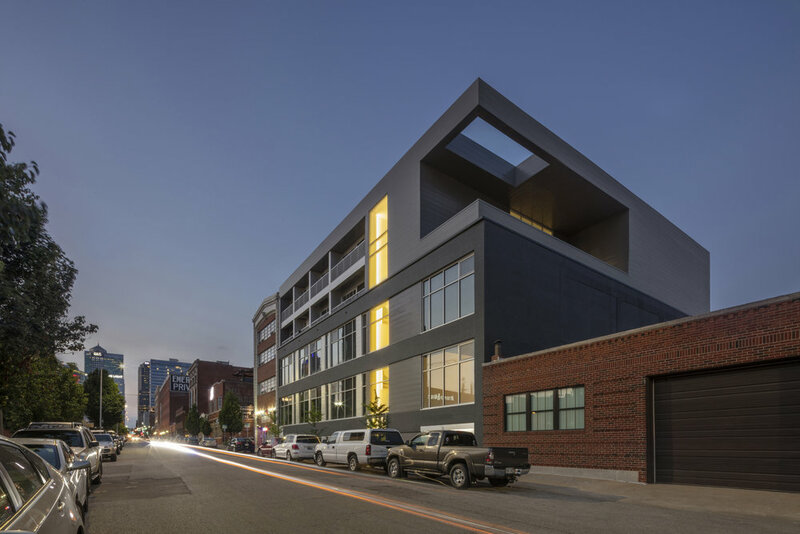 Sitting on the northwest edge of the Crossroads Art District, the southeast corner is carved away for a communal outdoor patio with the roof structure continuing the building geometry and defining the space below. A portion of the roof overhang is removed to lighten the corner and expose views to the sky as well. To better integrate with the district, the vertical entry stair displays custom art installations through all floors and the stair is boldly painted a bright yellow, drawn from the details in the art. The dynamic yellow stairwell, signifying primary circulation, compositionally unites the old and the new, blending it with the spirit and fabric of the Arts District. .